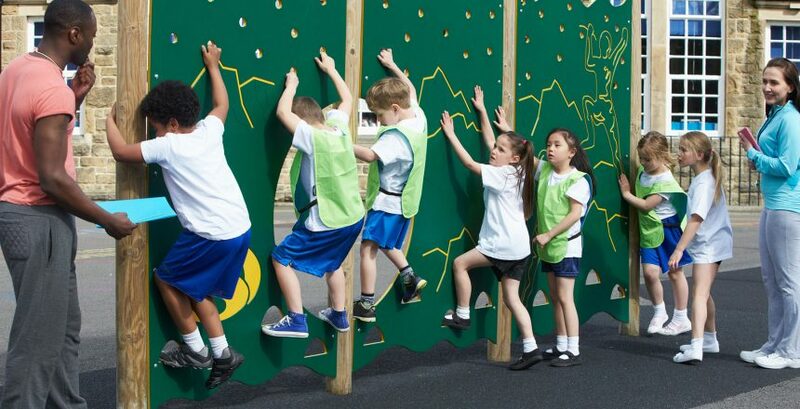 When is PE scheduled in your primary school day? If you said the afternoon, you’re in good company – the vast majority of schools we work with at First Step choose to fit their PE time in after lunch. Often, schools choose to prioritise core subjects like maths and English for the morning, before pushing PE into the afternoon. Whether it’s a conscious or sub-conscious decision, the thinking seems to be that it’s better to get the academic work out of the way before doing PE. The reality is that morning exercise can be more beneficial – and there is significant evidence that moving the PE lessons to the morning can deliver real benefits in terms of health, wellbeing, behaviour and even academic achievement. Here are the top 6 benefits of switching school PE from the afternoon to the morning. Exercise gets the blood flowing and increases the amount of oxygen that gets to the brain. It also releases endorphins in the body – providing children with an increase in focus for between 4 to 10 hours. By moving PE to the morning, children will reap the benefits throughout the entire school day. Exercise can provide a real, measurable mental boost – improving a child’s ability to perform, learn and think for the rest of the day. Exercise is proven to boost the production of cells in the hippocampus, which are responsible for memory and learning. In addition, cardiovascular exercise also promotes the brain’s ability to create new brain cells (neurogenesis), as well as increasing levels of the protein BDNF, which supports decision making, higher thinking and learning. Start the day with exercise, and children will benefit from increased metabolism for the following 12 hours or more. At the same time, exercise briefly regulates the appetite stimulating hormone, ghrelin – so children are less likely to snack on unhealthy foods, and may make better choices at lunch. With primary-school age obesity at near-record levels, moving PE to before lunch could help children to maintain a healthy weight. Moderate, fun-focused PE lessons provide a real boost to hormones, and mental wellbeing. The endorphins and dopamine released cut stress levels and anxiety, making children feel calmer and happier for up to 10 hours. In addition, physical activity is a great way of boosting young children’s self-esteem. The process of overcoming challenging situations and achieving goals early in the day can help children to develop a more positive outlook for the rest of the day. Exercising early fights fatigue, and provides a positive energy boost that lasts the whole day in children of all ages. For children that struggle to focus or zone out during the afternoon, early exercise can help to increase clarity and attention span for academic lessons. Aerobic doesn’t just boost positive energy – it also helps to tackle restless energy in children. The positive benefits can last several hours. At First Step Physical Education, we specialise in the planning, organisation, delivery and assessment of Primary School PE. Trusted by schools across Yorkshire, we provide high quality PE sport and activity training to more than 12,500 children, every single week. With a thoroughly vetted team of fully qualified coaches, we are here to ensure that schools benefit from top quality PE and sports provision, in the most cost-effective, efficient way possible. With experience working with schools across the region, we understand the challenges you’re facing in terms of PE delivery, time, budgets and experience, and work hard to make things as easy as possible for you. We keep up to date with all the latest government legislation and Ofsted requirements – ensuring that you always achieve and exceed your targets. For additional information, or to discuss your Primary School PE requirements, please contact our head office today on 0845 1200 177, or fill out our contact form today. For further information on the First Step Sports Group, or any of our sports support services, get in touch with a member of our expert team today on 0845 1200 177, or fill out a contact form. © 2019 First Step Sports Group – All Rights Reserved​.